Why not have students focus their research on Change Makers or more specifically, young people who have changed the world? Sometimes it can be more challenging for students when they select a contemporary individual because of the varied types of research required and potential limit on available information. Despite these potential challenges, the ability to gather information from a variety of sources is not a new requirement and the experience for students is invaluable. 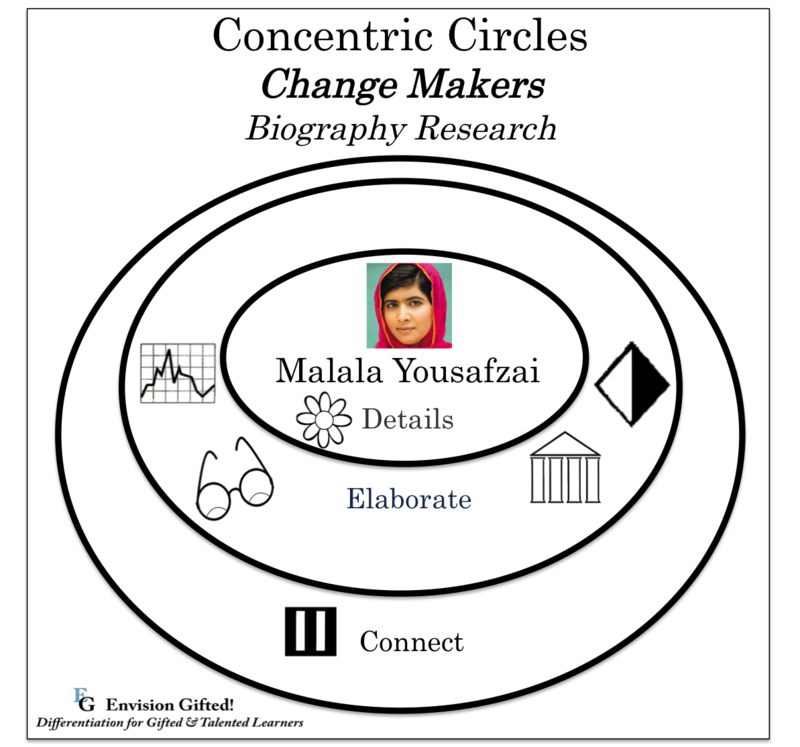 Concentric circles are great for helping students dig deeper in their research. Move beyond the expected or usual people in history that students often research and already know a lot about. 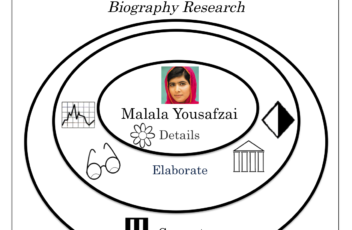 This image shows one way concentric circles might be designed for student use. 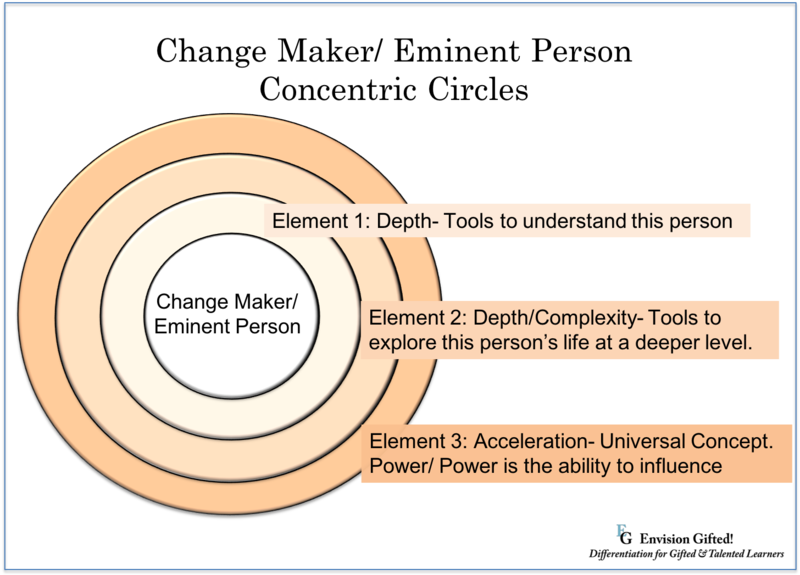 Consider how students might go from a concentric circle model of learning to creating a unique and creative product that demonstrates their learning. So, have you heard of Sylvia Acevedo? She has a fascinating story!